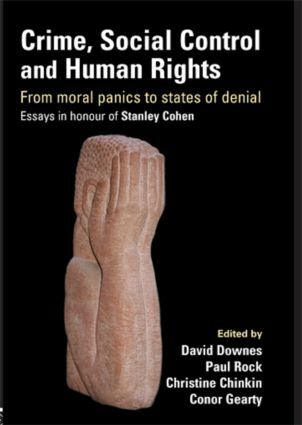 The work of Stanley Cohen over four decades has come to acquire a classical status in the fields of criminology, sociology and human rights. His writing, research, teaching and practical engagement in these fields have been at once rigorously analytical and intellectually inspiring. It amounts to a unique contribution, immensely varied yet with several unifying themes, and it has made, and continues to make, a lasting impact around the world. His work thus has a protean character and scope which transcend time and place. This book of essays in Stanley Cohen's honour aims to build on and reflect some of his many-sided contributions. It contains chapters by some of the world's leading thinkers as well as the rising generation of scholars and practitioners whose approach has been shaped in significant respects by his own. Detain – restrain – control: sliding scale or slippery slope? Restorative justice – answers to deficits in modernity?